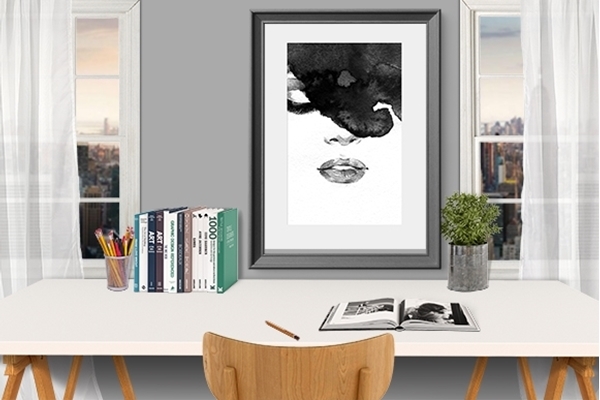 Order your favorite Prints & Poster from category – Prints & Poster Abstract! POSTERS AND PRINTS – HIGH-QUALITY! Order in three easy steps! Follow the example of our concept agencies and professional interior designers and order easily by selecting motif, type of product and, finally, your view. We then print each image based on your wishes for subsequent delivery to your home. We have selected popular motifs and our favourites in various categories, but you can also search among our incredible 21 million motifs yourself. This makes us one of the world's largest poster suppliers. Available for order directly ONLINE with fast home delivery. We provide frames if you want a framed print with or without a passepartout. Keep in mind that you can produce wonderful wall effects by combining two or more prints and posters of various sizes. Your imagination is the only limit – please follow us on social media for inspiring ideas from our customers and us. We produce canvas prints based on your own image. Choose "upload your own image" under the posters and prints menu. We can also produce posters based on your own motifs, but only in larger volumes. Contact customer services for more information.